I am delighted to team up with Multicultural Kid Blogs to bring you a series on celebrating Christmas in different cultures. I grew up in the former Soviet Union, and I have very warm memories of our holiday celebrations. However, at that time we were not celebrating Christmas, “an old folks’ holiday”. Communist government shifted all traditional Christmas celebrations to New Year Day. Many things were just as the Western countries know them – Christmas trees, family dinners, special events for children, and exchange of gifts, but there was no mention of Jesus’ birth in all the festivities. Now, of course, the situation changed, and Russian Orthodox Christmas is celebrated quite widely on January 7th. In my own country of Belarus half of population are Catholics and celebrate Christmas Eve on December 24th, some celebrate in January, and some stay with a secular celebration on New Year’s Eve. The main gift giver in Russian tradition is Ded Moroz (Grandfather Frost). He is very close to Santa Claus, except he usually travels on troika (three horses) and doesn’t bother with chimneys. In many stories he is accompanied by Snegurochka (Snow Maiden). In most stories and movies Snegurochka is a young woman and not a child, and in the original story of Snegurochka she actually meets an untimely death jumping over a fire with other girls and melting away. A few years ago I stumbled on this wonderful book with a long title How the Russian Snow Maiden Helped Santa Claus. I highly recommend this entertaining story for children 4+. The premise is that Russian Ded Moroz is sending his granddaughter to help Santa Claus to prepare for Western Christmas, since Ded Moroz doesn’t need her help until Russian Christmas in January. Santa Claus has problems deciding on a special toy for this year while the Snow Maiden is fighting homesickness and feeling that she is not helpful enough. In the end, there is a brilliant solution when the Snow Maiden shows Santa Claus the toy she brought from home – of course it’s a famous Russian nesting doll also known as Matryoshka. My parents were visiting over Thanksgiving break, and I thought of a special project that we could all do together. I bought unpainted Russian nesting dolls online, and each of us picked one doll to paint with acrylic paint. My husband, as the most artistic in the family, painted the largest doll, Smarty painted second largest. Now my parents are taking our special Matryoshkas home with them as a Christmas gift. 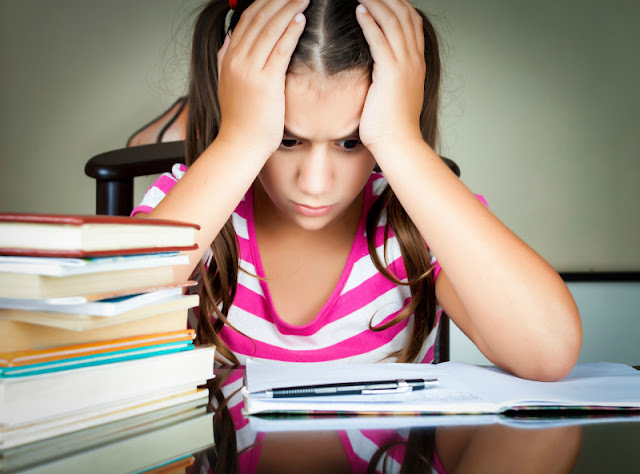 Head out to Multicultural Kid Bloggers landing page and link up your posts with Christmas traditions, books, and recipes from your part of the world. I love your nesting dolls! What a fun crafty project. Your matryoshka dolls turned out great! I may have to get a set for us to try sometime... and that book sounds fantastic! I love the nesting dolls! I'd love to do that with our family! Add me to the list of matryoshka admirers! And I love the concept of the book, too! Thank you for the inspiration! 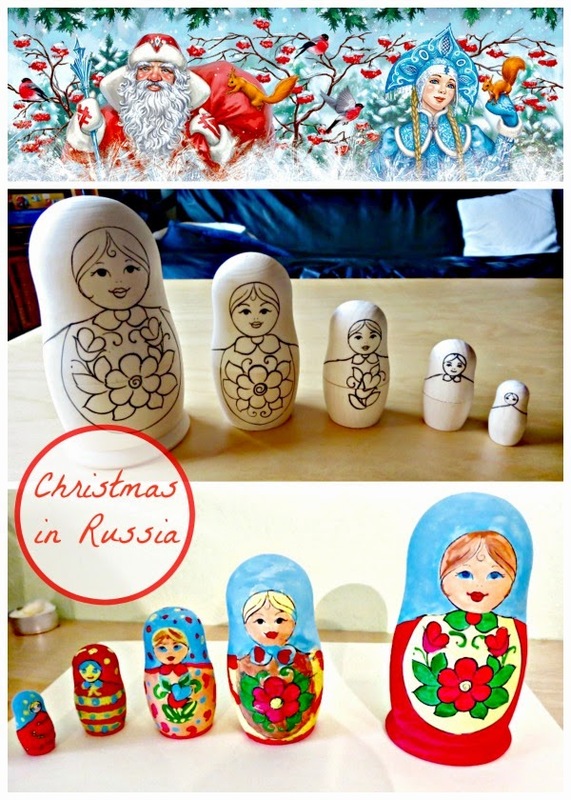 I love the nesting dolls as well, and how interesting to learn the history of the holiday in the former Soviet Union. I love the book, with the Snow Maiden helping since she isn't needed at home until the Orthodox Christmas! Delightful - I'd like to get me hands on a copy of the book for our kids! I always enjoy reading your posts and ideas. I learned so much from this post, I love it! Okay, I must try those nesting dolls (I'm not even going to try the Russian word, I'd spell it so wrong). Yours turned out wonderful! Those dolls look soooooo fun! And it's always so interesting to learn how other cultures celebrate holidays that are similar and different from our Christmas. I LOVE this! I'm impressed with all of your artistic talents! Very nice! What a special activity to do together!! I'm sure that will be a cherished set of dolls. 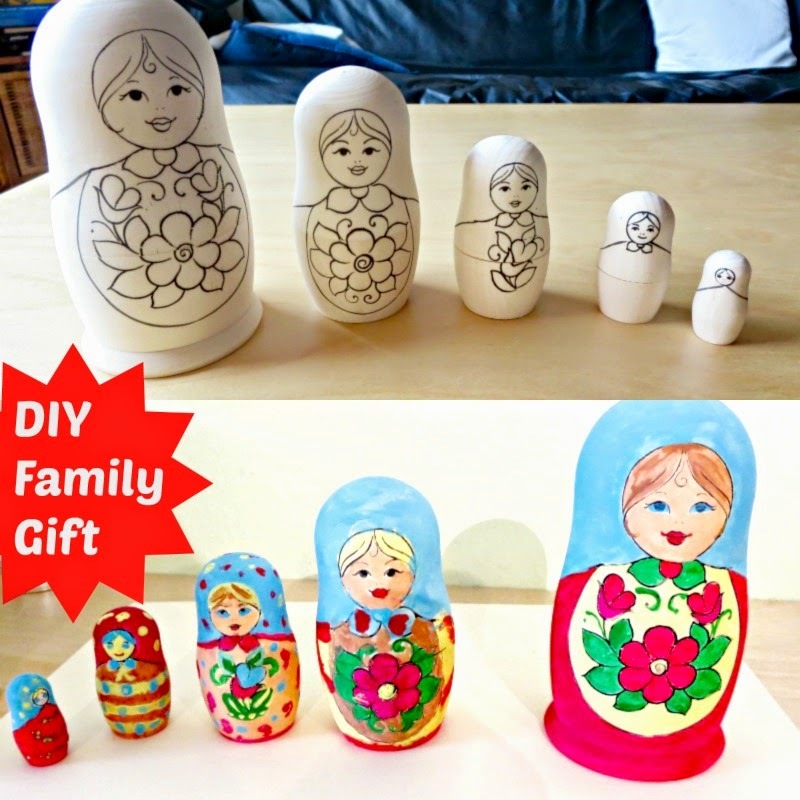 I love, love, LOVE the family painted nesting dolls! Such a great project for so many reasons and the final result is amazing! Love reading about the differences of "gift givers" in cultures that celebrate Christmas! Thanks for starting this series, Natalie, just getting around to reading the posts, and am enjoying it immensely! Making Nesting Dolls is on my list of things I want to do. I love this whole post and I learned a lot from it. Thank you for sharing it.